Fantastic Beasts: The Crimes of Grindelwald is the second film in a planned five-film series. J.K. Rowling’s new Wizarding World franchise is one that Harry Potter fans have been extremely excited about because it has been said to be a prequel to Harry Potter. In 2016, there was a lot of hype surrounding the release of Fantastic Beasts and Where To Find Them and the film, for the most part, delivered the goods. After seeing that film, fans became even more excited about these new adventures and how Rowling would further develop this world that leads into Harry Potter. Fantastic Beasts and The Crimes of Grindelwald picks up right where the first film came to a close. Grindelwald has been arrested and is now held captive by the Magical Congress of the United States of America. However, it doesn’t take long before Grindelwald escapes and begins to form an army of followers to wage war against non-magical beings. When Dumbledore gets wind of Grindelwald’s plans, he turns to Newt Scamander for help. 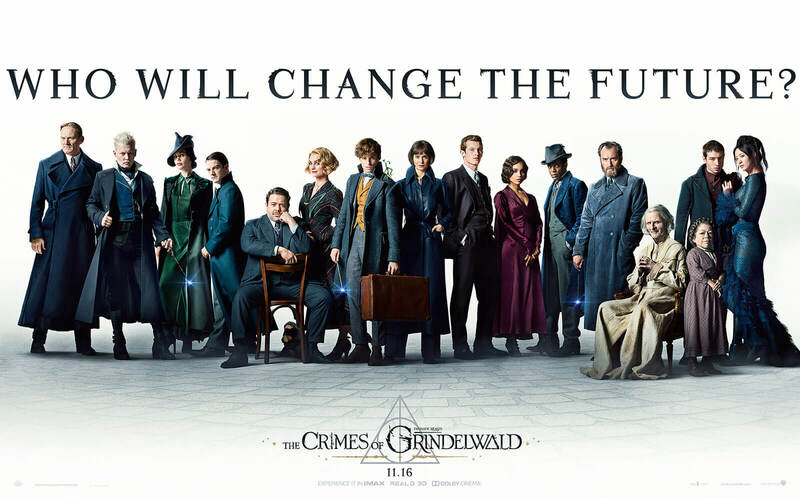 Can Newt and his friends stop Grindelwald before its too late? The problem I had with Fantastic Beasts and Where to Find Them was that it suffered from being an origin story. To me, it felt like the entire film was used to set up the rest of the films and therefore was somewhat bloated and left the audience wanting more. That being said, there was a lot that was needed to be set up to make The Crimes of Grindelwald and the three future entries effective. It may not have been the masterpiece that most people wanted it to be but the characters had to be introduced and that ending was pretty damn epic. I am happy to report that The Crimes of Grindelwald is far superior to Where to Find Them on every level. J.K. Rowling, who wrote the screenplay this time around, has truly done it again. While watching this film, you can tell that Rowling felt so passionate about these characters and their story. You can tell that by taking over the script, she wanted to ensure that she was doing her part of building upon this universe that she has so wonderfully created. If you consider yourself a Potterhead, you are going to be delighted when you see this film. There are countless references to Harry Potter throughout this film, and because of that, I can see fans going to see this movie multiple times so that they can piece together their fan theories about where this series will end up and how it will impact their current love and knowledge of Harry Potter. The opening sequence of the film is nothing short of spectacular. We see Grindelwald being transported and how the scene plays out sets the bar ridiculously high for the rest of the film. As a viewer, I was immediately hooked and found myself so deeply engrossed in this story and trying to figure out how everything was going to play out. There is a lot of world building in this film but also a ton of surprises and unexpected story twists and turns that are sure to delight new fans and old. You won’t believe which side some of the characters end up on, but I won’t spoil it because those reveals are a big part of the fun. The casting in these films so far has been so spot-on. Eddie Redmayne as Newt Scamander is such an excellent choice for the role because it is unlike anything that Redmayne has done before. Redmayne gets to be this lovable and charming protagonist who you want to get behind and ultimately fall in love with. Let’s not forget to mention that he always gets to team up with a lot of fantastical creatures including the Murtlap who is just so damn adorable. 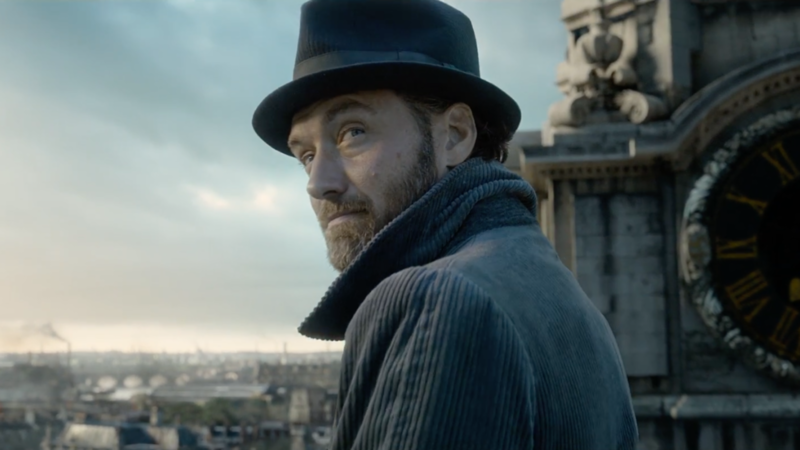 Jude Law as a young Albus Dumbledore was a casting decision that many Harry Potter fans were pleased to hear. Again, this decision was perfect as Law does embody what I would have imagined a younger Dumbledore to be. What’s great about Dumbledore being introduced in this entry is that he sort of adds to Newt as a character. Redmayne and Law have a few scenes together, and they are everything that you would want them to be. 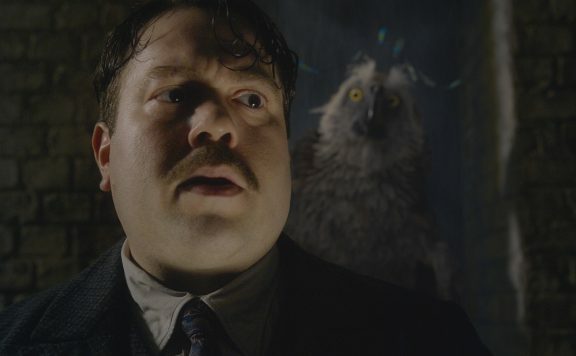 Dan Fogler’s Jacob and Alison Sudol’s Queenie have less screen-time this time around, but their stories play a fairly significant role in some of the events that take place in the second half of the film. 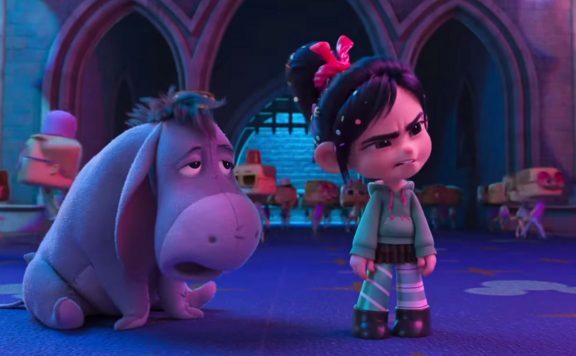 Without spoiling anything, these two actors aren’t on-screen a lot together, but their story plays out in such a way that is radically different from where they ended up at the end of the first one. While Fogler’s Jacob was used as the funny sidekick character in that film, this time around the audience gets to see a more serious and emotional side of this character. While there is some humor with Jacob here and there, his character is a lot more reserved and grounded this time around. The same can be said about Queenie since this film dives into her past and we learn more about her. Ezra Miller as Credence Barebone is a character that I believe is going to be the crux of the next film. Miller is so great in this role, and the character of Credence continues to be one of much mystery. A lot of Miller’s screen time is spent alongside Claudia Kim’s Nagini as they try to figure out his origins and more specifically, trying to track down who his mother is. These two are a terrific pairing and for lack of a better phrase are magical together. Johnny Depp as Gellert Grindelwald is perfection. Depp disappears into this role and becomes a villain whose is not only terrifying in his appearance but whose rhetoric makes you question your judgment. And because of that, I do believe that Grindelwald is a superior villain to that of Lord Voldemort. You understand what Grindelwald is fighting for and why he is fighting for it. You can see his side of the argument which is what makes him such a powerful leader. The visuals in The Crimes of Grindelwald are just as mesmerizing as the performances. As I mentioned earlier, the opening scene sets the bar so high, but the visually striking moments continue throughout the entire film. Another scene that stands out is where Tina and Newt are in the Ministry of Magic in Paris and are jumping around on the archive shelves. There are multiple scenes like this that will spark the imagination of those watching in such a way that only J.K. Rowling can. 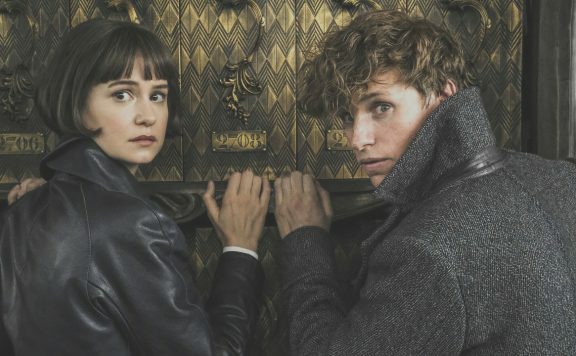 Fantastic Beasts: The Crimes of Grindelwald is a magical must-see! A bolder and darker installment that builds upon the first and is sure to delight Harry Potter fans new and old. 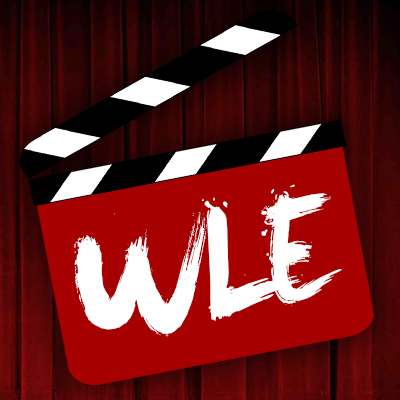 Remarking visuals, an engaging story, and an ending will leave most speechless as they quickly begin to count down the days before the third installment arrives in theaters. 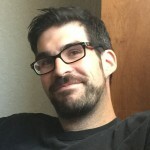 Scott ‘Movie Man’ Menzel’s rating for Fantastic Beasts: The Crimes of Grindelwald is an 8.5 out of 10.